Plan. Invest. Pursue what matters. To the Honaker Hayes Wealth Management Group, there’s nothing more important than choosing the right financial advisors to help guide you and your family confidently toward your future. Because we are a multigenerational team, each of us brings a perspective to your financial world, and an understanding of how priorities shift with time and age. We are also experienced Financial Advisors who understand how to invest in the markets to help you pursue the goals that matter—from funding your retirement to seeking to protect and passing on your estate. Most important, we are caring relationship builders who have done our homework and put your best interests first. We want to help you enjoy your wealth today—and for generations to come. Randy Honaker has been recognized as an industry leader. Focused on your goals. Planning for life. No matter where you are in your life, we can help guide you through each important stage of planning for the goals that matter to you—both short-term and long-term. Through the UBS Financial Goal Analysis (FGA) tool, we create your personal financial roadmap that addresses your needs over time. UBS Wealth Way starts with questions and a discussion that help us focus on what’s really important to you. Then, we can help you organize your financial life into three key strategies: Liquidity—to help provide cash flow for short-term expense, Longevity—for longer-term needs and Legacy—for needs that go beyond your own. This strategy helps you manage cash flow for near-term expenses. It can give you the confidence to fund short-term needs regardless of the markets, and helps reduce the likelihood of making impulsive investment decisions during periods of market volatility. This strategy includes the resources you’ll need over the course of your life. It can help you gain confidence in your future by allowing you to shift your focus to meeting long-term goals rather than trying to outperform the markets. This strategy includes all of the resources for needs that go beyond your own. 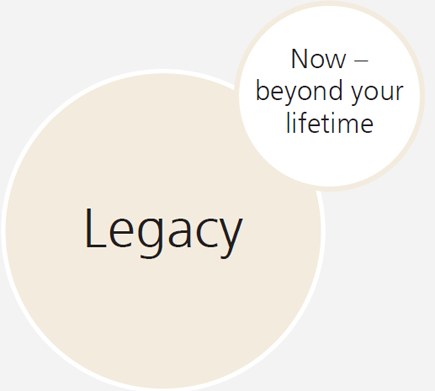 Having a Legacy strategy can boost your confidence by reframing risk based on specific legacy goals and longer timeframes. 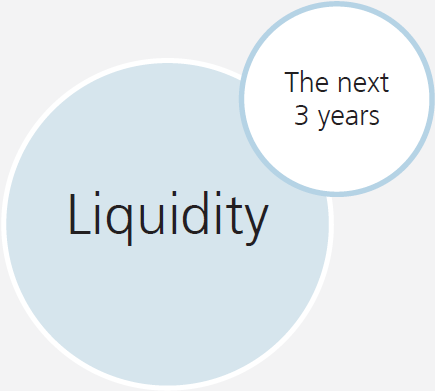 UBS Wealth Way is an approach incorporating Liquidity. Longevity. Legacy. 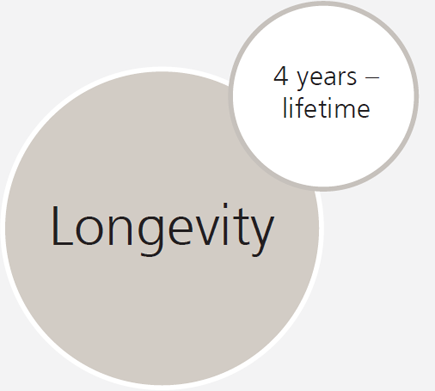 strategies, that UBS Financial Services Inc. and our Financial Advisors can use to assist clients in exploring and pursuing their wealth management needs and goals over different time frames. This approach is not a promise or guarantee that wealth, or any financial results, can or will be achieved. All investments involve the risk of loss, including the risk of loss of the entire investment. Our portfolio management approach we call “active indexing,” helps us manage fees, risk and execute the right strategy for pursuing your goals. 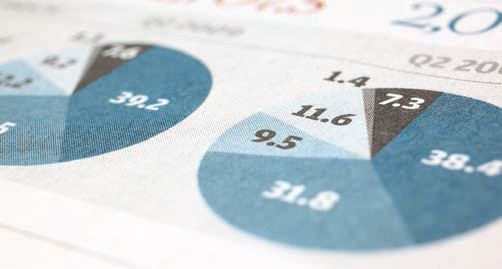 Many portfolio strategies are structured using an asset allocation strategy that regularly rebalances. This investment strategy works for some, but it’s not for everyone. Our team takes an extra step. We create a “tactical asset allocation,” which is based on the valuation of the markets and sectors in which you are invested, not specific securities. We identify trends in sectors and the overall market worldwide. For example, if you invested heavily in stocks, you might reduce that position when other securities, such as bonds, are poised to outperform stocks. Our tactical asset allocation will over or under weight risk assets in response to market momentum, valuation, and the overall direction of the economy. We actively monitor investment portfolios on a daily basis and make adjustments to help ensure we’re tracking toward your goals. Though we are mindful of the past, our focus is on the present and the future. About the PMP Program: PMP is a wrap fee advisory program in which our Financial Advisors manage client accounts on a discretionary basis. PMP is designed for clients who (i) want to delegate portfolio management discretion to their Financial Advisor; (ii) are looking to implement a medium to long-term investment plan; and (iii) prefer the consistency of fee-based pricing. PMP is not appropriate for clients who: (i) want to maintain trading control over their account; (ii) seek a short-term investment; (iii) want to maintain consistently high levels of cash, money market funds, or invest primarily in no-load mutual funds; (iv) want to maintain highly concentrated positions that will not be sold regardless of market conditions; or (v) who anticipate significant withdrawals from the account. Mutual funds and exchange traded funds are sold by prospectus. For more complete information about a fund, including the investment objectives, charges, expenses and risk factors, contact your Financial Advisor for a free prospectus. The prospectus contains this and other important information that you should read carefully before investing. Investors should be aware that the value of mutual funds and exchange traded funds changes from day to day. Therefore, an investment’s return and principal value will fluctuate so that an investor’s shares, when redeemed or sold, may be worth more or less than their original cost. ETFs seek investment results that, before expenses, generally correspond to the price and yield of a particular index. There is no assurance that the price and yield performance of the index can be fully matched. ETFs are subject to tracking error and may be unable to sell poorly performing stocks that are included in their index. ETFs may trade in the secondary market at prices below the value of their underlying portfolios and may not be liquid.The strategy involves investments in mutual funds, exchange traded funds and other pooled investment vehicles which carry internal management and administrative expenses borne by shareholders. Those fees are in addition to the advisory fee you pay for the Portfolio Management Program. Program fees will not be reduced or offset by these fees. These additional fees will reduce the overall return of your account. You may be able to purchase those securities directly in the open market without incurring the program fee. Please review the applicable prospectus and offering documents carefully for a detailed description of the additional fees associated with these securities. Diversification does not assure a profit or guarantee against loss in declining markets. Asset Allocation does not guarantee a profit or protect against loss in a declining financial market. Past performance does not guarantee future results and current performance may be lower or higher than past performance data presented. For index definitions, please visit our web site at ubs.com/indexdefinitions. Our team is dedicated to helping you make informed, confident decisions about planning and investing. But our relationships go beyond your financial life. Caring. Our advice is not just about finances. It’s about you and helping make your life better. Communication. Through regular calls and reviews, we all work together to keep you informed. We get you the answers you need when you need them. Core values. Faith, integrity, passion, knowledge and integrity support us in everything we do on your behalf.